Food + wine + Paris — try to separate them, it's an illusion. In Paris, food and wine are the cornerstones of la belle vie. So naturally there are a plethora of walking tours, tastings, and cooking classes with a focus on French food or wine or both. 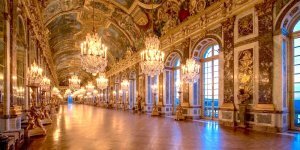 Here we present the top-rated food activities that have been impressing travelers with a taste for the culinary culture of France. 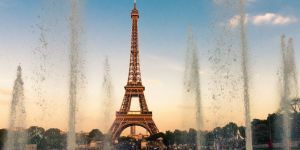 This is the most popular food activity in the City of Food, and no wonder — it's a walking tour through historic streets of Paris that combines your passion for Paris with your love of chocolate and fabulous French pastries. 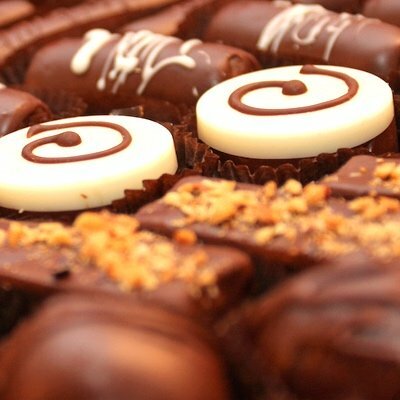 You spend a pleasant afternoon tasting your way through the best Parisian chocolate shops, patisseries and boulangeries on this small-group walking tour. 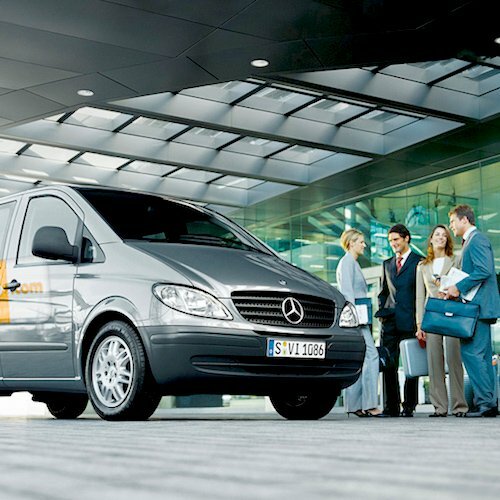 The tour is limited to 8 people so you can expect individual attention from your guide and from the shops themselves. A Parisian food expert leads you through typical Parisian neighborhoods as you learn how to choose the best chocolates and pastries. Sampling is required — no hardship there ! This was an absolutely fabulous tour! We have been on six food tours and this was far and away the best! Our guide studied to be a chef and her humor, enthusiasm, and insights were delightful. And the candies and pastries! 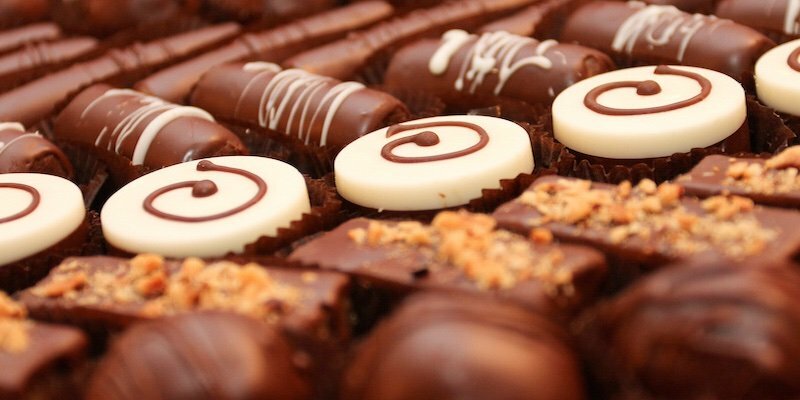 We visited all the top chocolatiers and bakeries and were blown away by the quality of everything we tried! DO NOT MISS THIS ONE!" 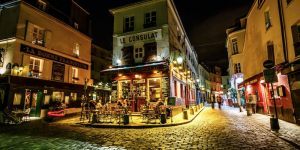 Wander the ancient streets of everyone's favorite Paris quartier with an expert food guide to visit some of the most fantastic food shops in the city. 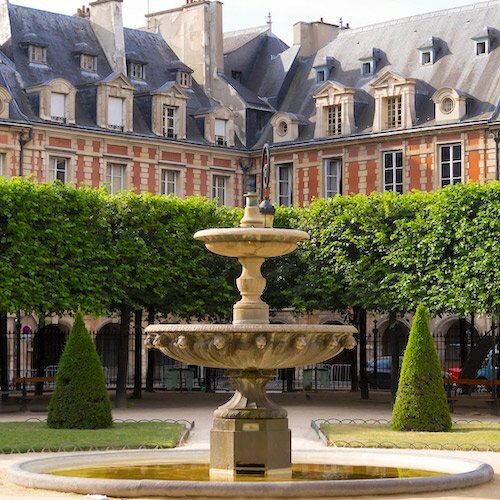 This tour takes you deep into the Marais as you visit (and sample at) a boulangerie, wine shop, epicerie, chocolatier, and more. This is a small-group tour to ensure you get individual attention (and plenty of samples!). The food-filled three-and-a-half-hour tour starts off at the oldest market in Paris, Le Marché des Enfants Rouges. Morning tours start at 11:30 (so you can sleep in) and evening tours at 5 PM. This was an amazing experience! 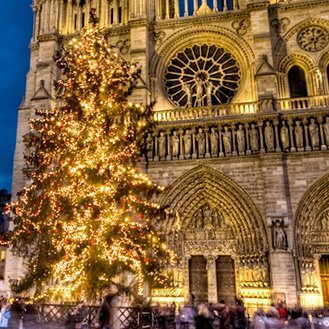 Our best tour in France, with the best guide. Some of the best food we had on this vacation was during this tour! Very highly recommend." 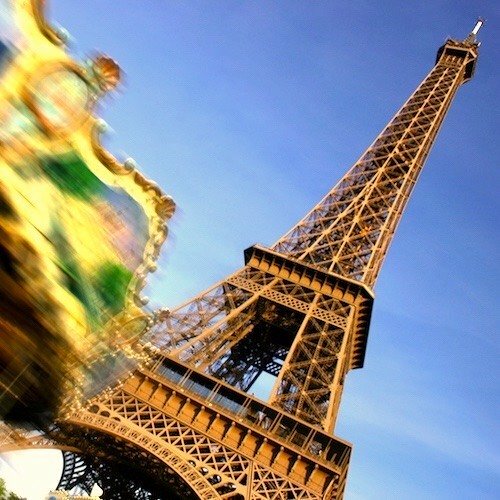 What could be better than leisurely cruising down Paris' famous river, with the iconic monuments and sights passing by? 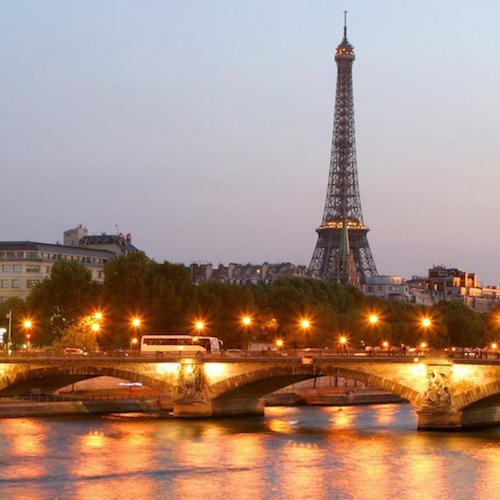 We'll tell you what — cruising down the Seine while sipping champagne! We took this cruise recently and it was delightful. Instead of sitting in the back of the boat with the other visitors, you're led to a private room at the front. 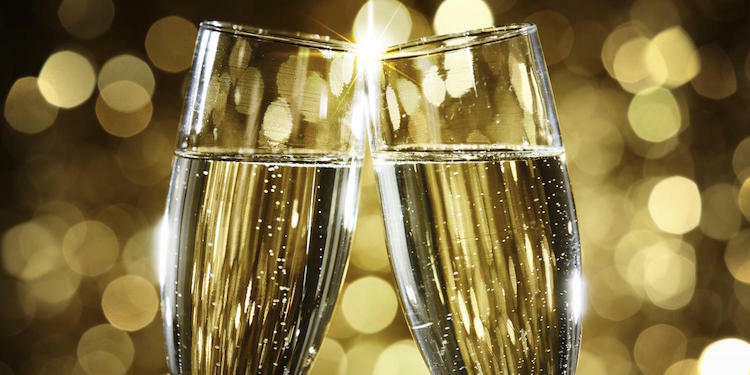 There, a champagne sommelier guides you through a tasting of three different champagnes. Since we've done this tour we can tell you that the champagne flows! Just don't forget to look at those monuments in between sips. This tour was worth every cent. Our tour guide was excellent. The champagne was delicious. The boat and setting were so enjoyable. I would highly recommend this tour." Don't worry, any calories from the gourmet food samples you eat will be burned off by the 3-hour walking tour! 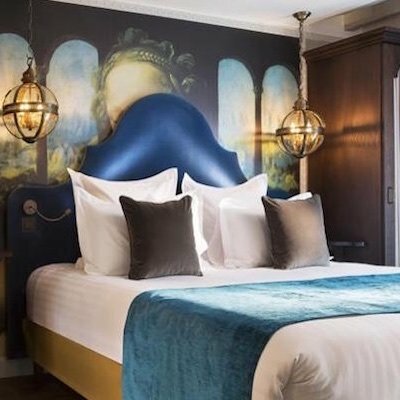 On the Left Bank, on the famous Boulevard Saint-Germain, you begin at a traditional fromagerie to sample the high-quality gourmet foods that Parisians insist on. You learn about the incredible selection of cheeses in this country, where they comes from, and how they are classified. Most importantly, you taste. But it's not only cheese you'll taste on this tour. You'll visit other food sellers, learn about and taste freshly baked baguettes, and try some fine french wine, not to mention foie gras. This is a very good introduction to the foods of a city famous for its food. It's also the second most popular food tour in the City of Food. 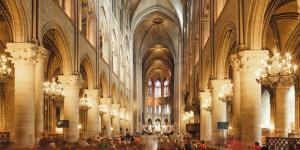 This was the first tour of our ten-day stay in Paris and it was marvelous. We loved learning about and sampling the various breads, cheeses, pastries, and meats during our walking tour of the Left Bank. Our guide shared the history of the area including the background of the Pantheon and the church of Ste. Etienne. We ended with a stop at a local small eatery where we sampled a number of cheeses and meats including foie gras and of course wine! A wonderful way to begin our stay in Paris. We definitely recommend this tour!" To be in Paris is to be in the center of the best of fine French wine. 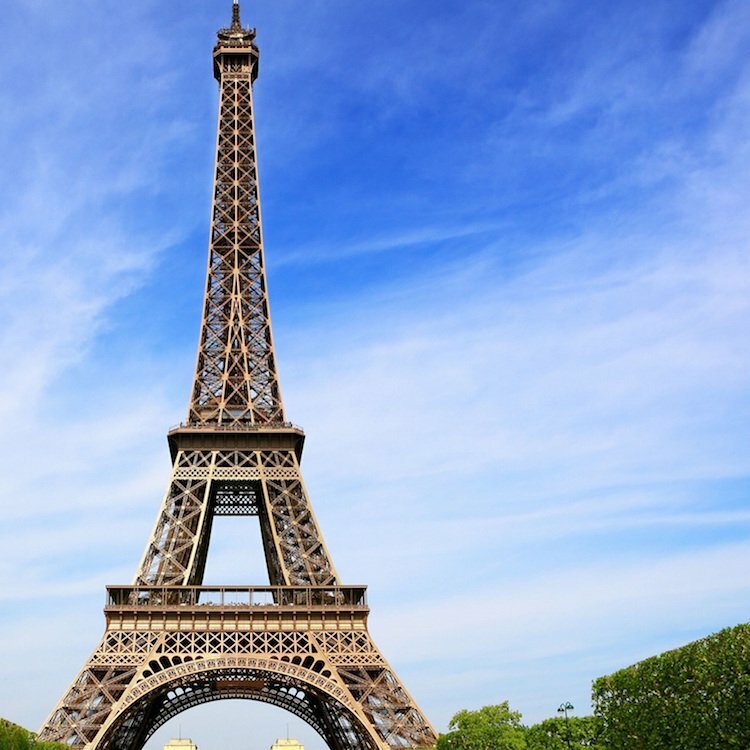 Wine is a foundation of the French food culture and being in Paris gives you a great chance to learn more about it. And so it makes sense that, completing the trinity of the most popular food activities, is this wine and champagne tasting. 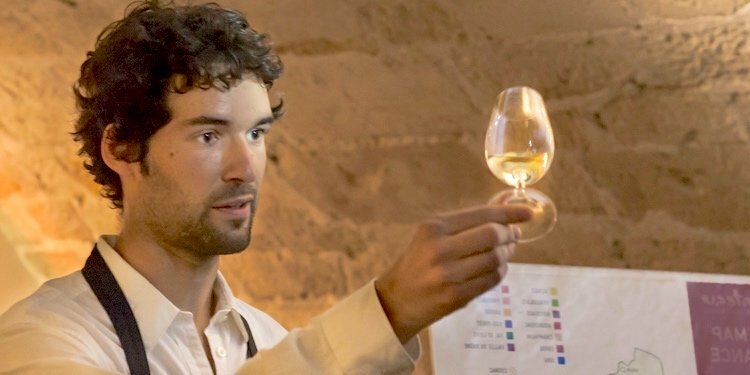 It's the top-rated wine tasting class in Paris — led by knowledgable, friendly sommeliers. 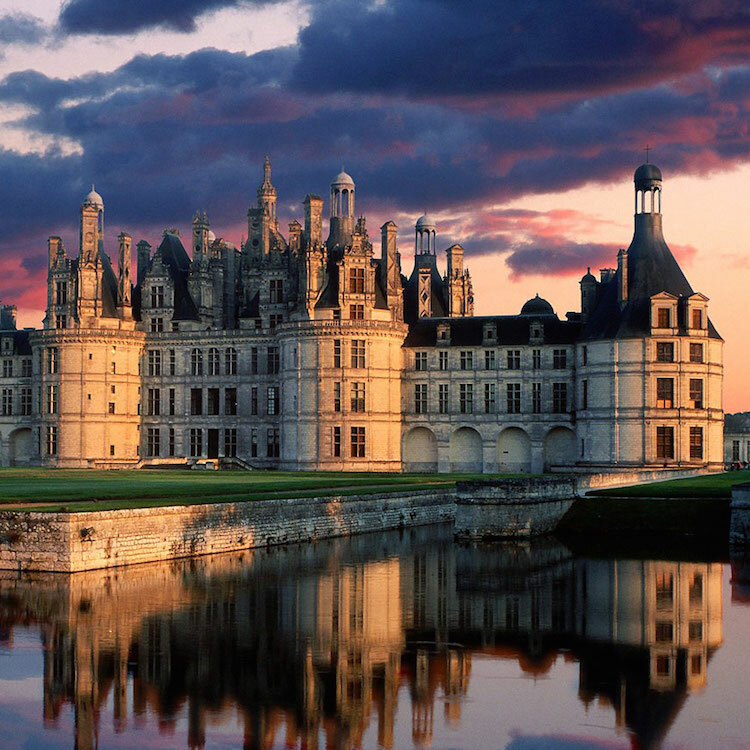 It takes you across the wine map of France and lets you taste some of the best of the country. 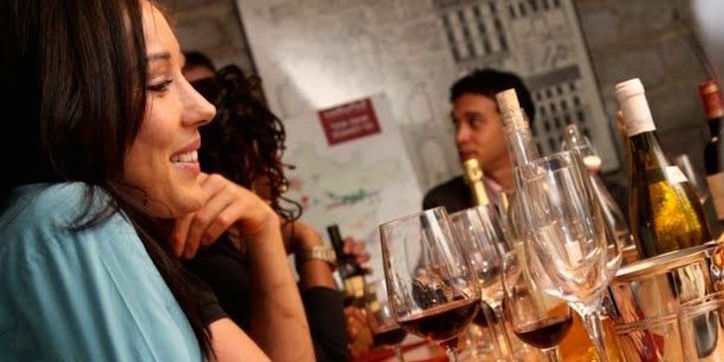 This tasting take place in a wine bar in the center of things, right near the Louvre. There are some really good options to choose from, including a 2-hour wine and champagne course. 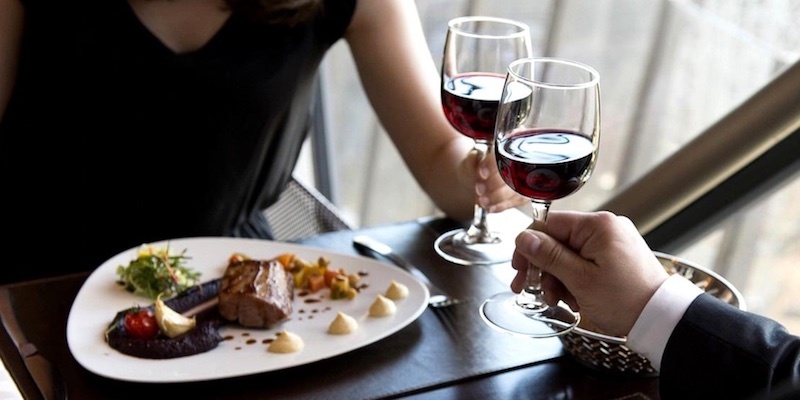 Our top preference is the 2-hour Grand Cru wine tasting. 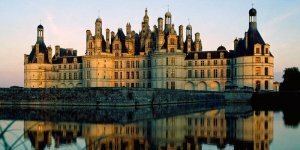 When else are you going to get the chance to taste some of the most highly ranked wines of France? Seriously. 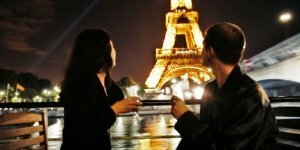 Could you really spend time in Paris and not drink French wine? This is the best way to learn all about it. Once-in-a-lifetime experience, a must do… You won't regret it… The tasting was amazing, I'd highly recommend doing this, very informative and great wines… Amazing, great wine selection and knowledge. The place was beautiful and I will definitely visit again." 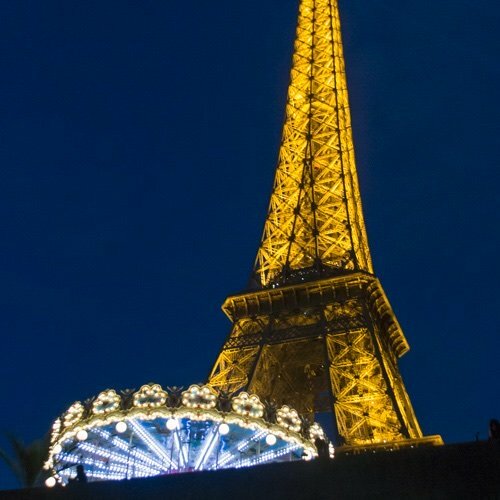 Another popular food activity is this once-in-a-lifetime experience— dining on the Eiffel Tower, with the lights of Paris spread out beneath you. Your priority pass gets you past the lines and directly to the elevator of restaurant 58 Tour Eiffel. Once on top, take a stroll around the first floor of the Tower to see the new transparent glass floor. Inside, you are led to your reserved tables for a classic 4-course French meal with wine. It's no wonder this is so popular with visitors. This was the highlight of our stay in Paris. The 58 Tour Eiffel restaurant was outstanding. Every dish they brought us was divine). If you wanted something else than what they were serving they provided it. Service was excellent and the champagne and wine kept pouring. Amazing views." 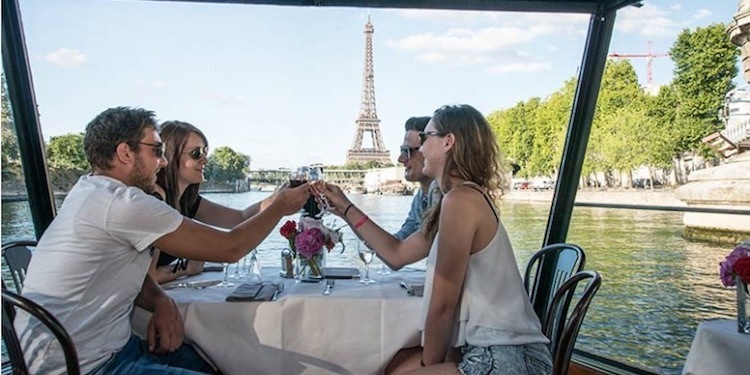 After a morning or shopping head on down to the banks of the Seine, at the base of the Eiffel Tower, to get aboard Bateaux Parisiens, where a table has been reserved for your lunch. This is a fun, casual, and affordable way to dine on the Seine River, watching the sights of Paris drift by. Wonderfully, the extra large windows on the boat are perfect for seeing those sights. The 3-course lunch offers plenty of options and there is live music as you dine. 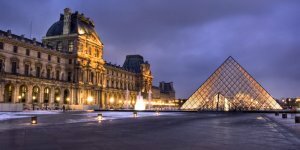 As you float past the Louvre, Île de la Cite, and the Eiffel Tower, raise your glass to those iconic monuments. We loved this relaxing and charming boat ride. The food was good and lots of wine to drink. We chose the Service Etoile and had an inner table and were able to see everything. The music and singers were the highlight. Loved this tour and would recommend it." At a fromagerie in the Marais you meet the shop's master affineur (an expert in the art of cheese aging) to learn about the cheese of France, how they are made, and how they are aged to perfection. 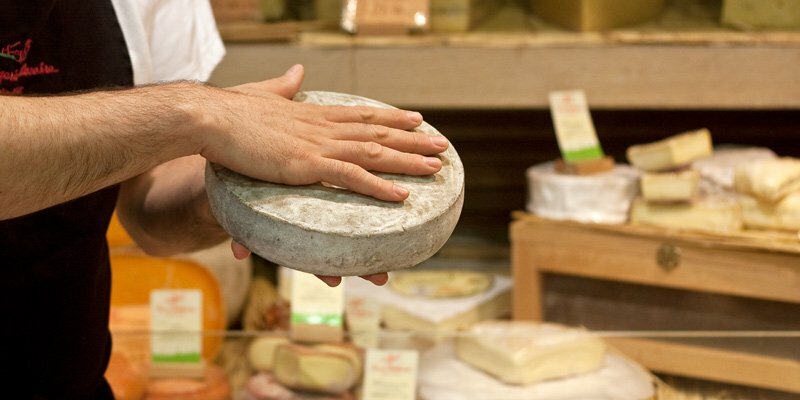 With the affineur you descend into the underground cave to learn about the maturing cheeses. In the large aging room you are introduced to Beaufort (a raw cow's milk cheese produced in the French Alps), Etivaz (a hard, raw cow's milk cheese made in the Swiss Alps), and five other cheeses. You learn the history, traditions, and techniques of French cheese production, sampling at every stage. Each cheese is paired with a French wine. Our guide was wonderful. Her knowledge of cheesemaking and the aging process was a great learning experience. She took the time to teach us how to taste the cheese on its own, and then how to really enjoy the cheese with the wine. We really enjoyed tasting the different layer of flavors in the cheese and the wine. We came away with a great appreciation of the cheesemaking process. Enjoyed every minute of it." 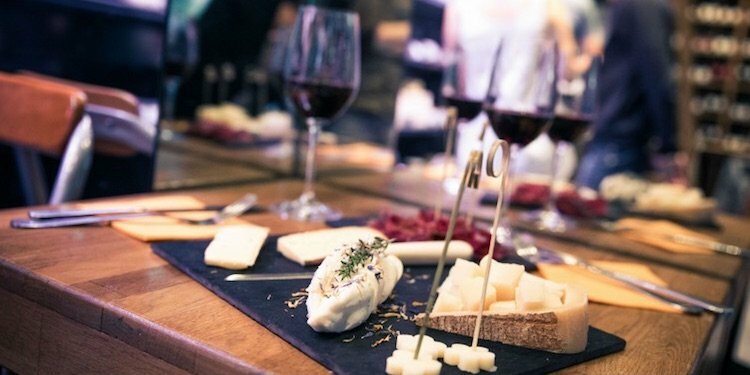 Instead of just tasting wine, pair your wine with a cheese and charcuterie lunch. This also takes place in a lovely wine bar near the Louvre and things kick off at noon. 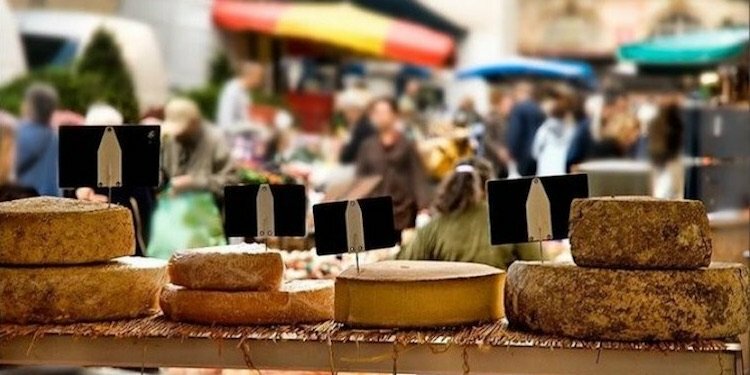 While you are tasting and being introduced to five regional wines of France, you are also sampling artisanal cheese from a master fromagere. You learn which cheeses go with which wines and why that is the case. Similarly you taste charcuterie from southwestern France and from Corsica, paring those with red wines. Absolutely fantastic experience. Matthieu was incredibly knowledgable and educated us about the regions, the agricultural practices, and the wine making. We were so full when we left; they supplied a huge amount of cheese and charcuterie to taste with each wine! 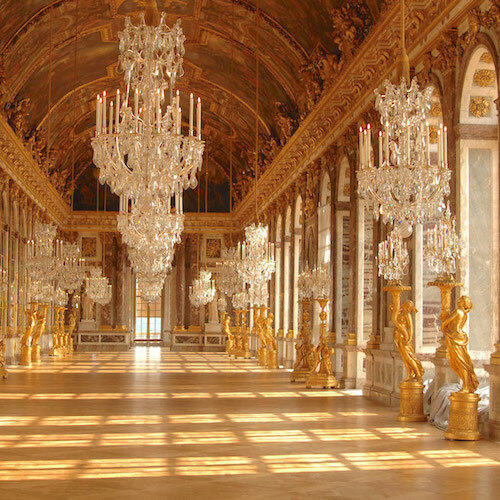 I highly recommend this to anyone looking for a different experience in Paris." 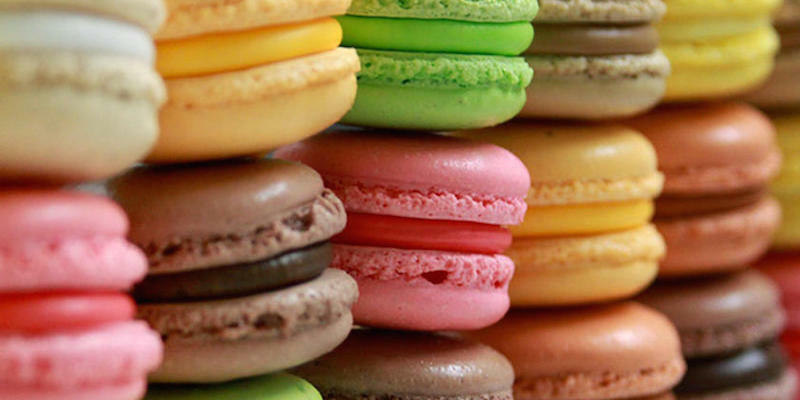 Even though they were invented nearly a century ago, macarons are the current rage in Paris. A creamy filling sandwiched between two moist meringue shells create a delicious, melt-in-your-mouth treat. This 3-hour course, conducted by a French chef, is limited to 8 people, to ensure you get the attention you need. And, at the end of it all, you take away a box of homemade macarons. This is absolutely WONDERFUL. Such a great experience to learn how to make macarons from a French chef. We thoroughly enjoyed our time making four different kids of fillings.This was supposed to be a small class but ended up being a private class, so we got to keep all the macarons afterwards too! Highly recommend!!!" You learn how the market works and then shop for ingredients for your lunch. 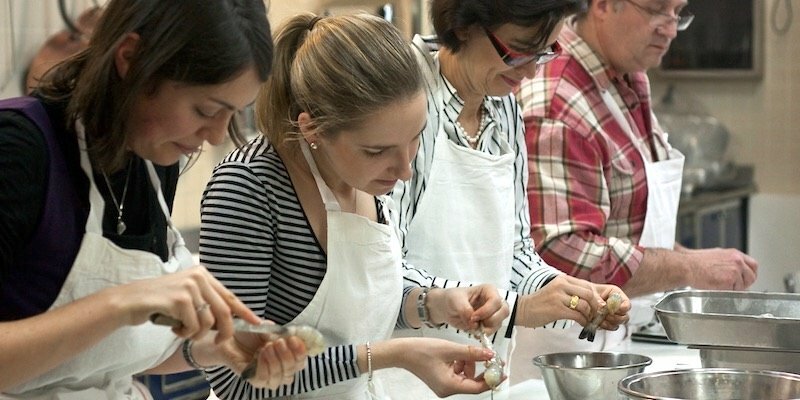 Afterwards, in the cooking studio, the expert instructor takes you step-by-step through the creation of a lunch that includes entrée, plat, fromages, and dessert. Then you sit down with your fellow students and enjoy the fruits of your labour. With wine, of course! We absolutely loved this class. The venue was charming, and so was our host Fredrick. We all had a great time making the dishes and listening to Fredrick's informative stories. The market tour was very good, but the cooking class and the food we made was the best. The hours passed quickly and there was never a dull moment."